Jaymor Industries is able to offer its customers a full electronic design solution. From schematic design and prototyping to full production, Jaymor is able to draw upon an extensive network of suppliers in order to complete the project to the highest standard. Jaymor personnel includes experienced engineers in electronic hardware design, embedded software design and computer based application development. This range of skills allows us to provide customised solutions for many industries at the desired level of complexity - whether it be a "stand-alone" smart controller, or a fully networked PC based solution. If the system is to be microcontroller based, Jaymor is also able to offer a custom programming service. Our engineers have many years of experience in 'C' programming for embedded applications and are able to provide a total software solution including PC applications if necessary. As ethernet communication has become more commonplace in industry, Jaymor has developed microcontroller systems able to be networked and provide remote control, diagnostics or (with the addition of a PC) data tracking. Please contact Jaymor for more information on our custom electronic design facility. Experience with funding bodies such as FRST and TechNZ. Project specification and design outline. Electronic circuit design and schematic documentation. Sourcing of appropriate componentry and field devices. 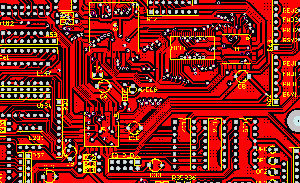 PCB design, layout and supply. 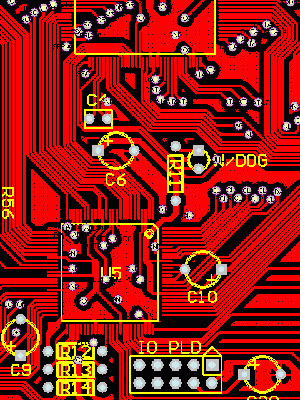 Organise PCB population for both prototyping and production. Microcontroller software for application specific functions. Higher level software applications for PC bases systems. Industrial communications in either ethernet bases protocols or RS232/RS485 standards (eg Modbus). Design and supply of customised membrane overlays. Mechanical design of operator panels and interconnection schemes. Full documentation including user manuals and technical service manuals. Telemetry services via cellular, internet or LEO satellite. Field trials and installation services. Production manufacture of systems in small or large runs. Close associations with suppliers and manufacturers of hydraulic, electric and mechanical componentry.